In Chrome 66, rolling out now for Mac and iOS, Google has added a password export option to the web browser so that you can easily migrate your login details to another browser via a third-party password manager app. 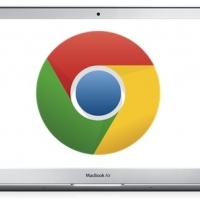 In this article, we'll show you how to export your passwords from Chrome on Mac and iOS. At the end of the process, you'll be left with a CSV file containing all your login credentials. Popular password managers like Enpass and 1Password accept CSV files for importing login data. Just be aware that the CSV file you export from Chrome is in plain text. That means your credentials could be read by anyone with access to it, so make sure you securely delete the file once you've imported the data into your password manager of choice. Google today released Chrome 73, the newest stable version of its Chrome browser for Mac and Windows. Chrome 73 has been in beta testing since February, with several new features included. 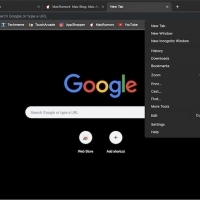 On macOS Mojave, Chrome 73 introduces support for Dark Mode. 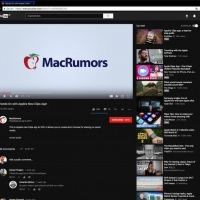 The browser window will display the darker colored theme automatically whenever Dark Mode on Mojave is enabled. 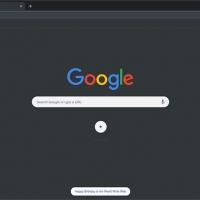 Dark Mode in Chrome looks similar to the darker toolbar available when using Chrome in Incognito Mode. 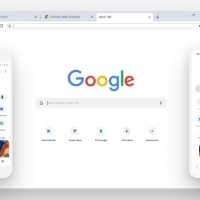 Other new features in Google Chrome include tab grouping for better organizing multiple tabs, support for keyboard media keys, and an automatic picture in picture option enabled when swapping away from an active video. There's a new Sync and Google Services section under Settings to make it easier to control data collection settings and other options, spell checking improvements, and a new badge API that will let web app icons include a visual indicator for things like unread item counts. There are a number of changes for developers in Chrome 73, including signed HTTP exchanges, constructable style sheets, and support for Progressive Web Apps on Mac. 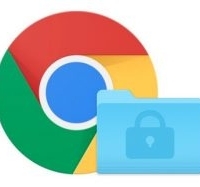 Multiple security fixes have been addressed in Chrome 73, with Google outlining security updates in a blog post. Chrome 73 can be downloaded using the update button in Chrome if you already have it installed or through the Chrome website. Google will follow Apple's lead by adding an autoplay blocking feature to its desktop web browser in an update set to arrive in January, the company announced on Thursday. One of the most common irritations of web browsing is unexpected media playback, which can eat up data allowance, consume more power, and cause unwanted noise. When Safari 11 is released as part of macOS High Sierra, Mac users will be able to control media playback settings on a per-site basis, ending the frustration of auto-playing media while browsing. Starting in Chrome 64, Google's desktop browser will feature a customization option along the same lines. In a post on its Chromium blog, Google said that with the new settings, autoplay will only be allowed if the media on a website doesn't play sound, or if the user has frequently chosen to play media on the site before. This will allow autoplay to occur when users want media to play, and respect users' wishes when they don't. These changes will also unify desktop and mobile web behavior, making web media development more predictable across platforms and browsers.Since not all users have the same preferences for autoplaying media, Google said it would add a new user option in Chrome 63 to completely disable audio for individual sites that will persist between browsing sessions. Based on the available evidence, Chrome's autoplay blocking options won't actually be as granular as Safari's, which will enable users to mute autoplaying media with sound, or block all autoplaying media completely, both for individual sites and globally. Sling TV announced its first in-browser desktop content player on Tuesday. 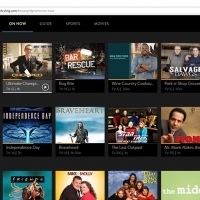 Using the latest version of Google Chrome, subscribers to the streaming television platform can log in at sling.com to access their favorite content and start playback right from within the browser. It's not yet clear at what quality the content is played within the browser, but Sling TV customers watching on Google Chrome do get access to popular features like "My TV", the "Continue Watching" ribbon, account settings, parental controls, and more. Sling TV cautions that the Chrome in-browser player is still a beta version, but no app, plug-in or flash player download is necessary. The service says it will continue to roll out additional features as the browser player matures, including access to cloud DVR and a grid guide. For more information on Sling TV-supported devices, visit sling.com/devices. Google today released Chrome 60, introducing support for the Touch Bar built into 2016 and 2017 13 and 15-inch MacBook Pro models. After installing Chrome 60, MacBook Pro owners are able to add, remove, and rearrange Chrome shortcuts. The Touch Bar settings can be accessed by through the Menu bar by going to View -> Customize Touch Bar. 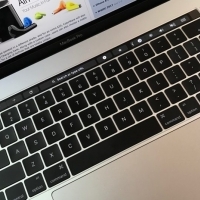 The new settings can be combined with existing Touch Bar options for things like controlling brightness and volume, and there's a toggle for turning off predictive typing suggestions. Today's update also includes a long list of security fixes, which are listed in the Chrome release notes, and new and updated Web Budget, Payment Request, Paint Timing, and Credential Management APIs for developers. Also new is support for the CSS @font-face descriptor and font-display property for faster font loading on websites. The new version of the Chrome browser can be downloaded from the Chrome website. Google is planning to introduce an ad-blocking feature in both the mobile and desktop versions of its Chrome web browser, according to sources who spoke to The Wall Street Journal. The feature could be turned on by default within Chrome and would be designed to filter out certain online ad types that result in poor user experiences on the web, as defined by industry group the Coalition for Better Ads. According to the coalition's standards, ad formats like pop-ups, auto-playing ads with audio, and ads with countdown timers fall under "a threshold of consumer acceptability" and could therefore be targets of any blocker. Google could announce the feature within weeks, according to the paper's sources, but it is still working out specific details and could still decide to reverse course and can the feature. One possible implementation of the filter includes blocking all advertising on a website if it hosts just one offending ad, ensuring a set standard is kept by website owners. Another option is to target specific ads. For a company that generated over $60 billion in revenue from online advertising in 2016, the feature would seem a surprise move. However Google appears to be reacting against the growth of third-party blocking tools – some of which charge fees to let ads pass through their filters – by considering offering its own solution, which would let it control which ads pass through filters. In the U.S., Chrome commands nearly half of the browser market across all platforms, according to online analytics provider StatCounter. The newest build (58.0.3020.0) of Chrome Canary, Google's experimental browser, includes support for the Touch Bar built into the 2016 MacBook Pro, indicating Touch Bar support will soon be added to the Chrome browser. On the Touch Bar, the current Chrome Canary build offers a search/URL bar, forward and back buttons, a refresh/stop option, a button for opening a new tab, and a button for adding a new bookmark. It's much a simpler implementation than Touch Bar support in Safari, which includes preview tabs for quickly switching between windows. There are also no controls available for video or music playback in the browser. 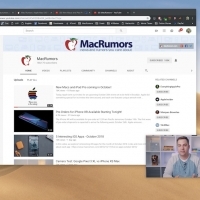 Features are tested in Canary before being added release builds of the Google Chrome browser, so Touch Bar support is expected in Chrome 58, set to be released during the week of April 25th. Those who want to give Touch Bar support a try ahead of the release of Chrome 58 can download Chrome Canary from Google.